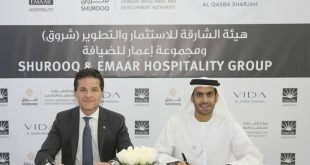 The UAE Ministry of Economy and the Sharjah Investment and Development Authority (Shurooq) signed a Memorandum of Understanding (MoU) at the Mleiha Archaeology Centre on Monday to strengthen ties, increase commercial, economic cooperation and expand investment opportunities in Sharjah. The MoU was signed by Sheikha Bodour bint Sultan Al Qasimi, Chairperson of Sharjah Investment and Development Authority (Shurooq), and HE Eng. Sultan Al Mansouri, Minister of Economy in the presence of HE Engineer Mohammed Ahmed Bin Abdul Aziz Al Shehhi, Undersecretary of the Ministry of Economy for economic affairs, HE Humaid bin Butti Al Muhairi, Assistant Undersecretary for the corporate sector and consumer protection, HE Marwan bin Jassim Al Sarkal, CEO of Shurooq, HE Mohammed Khamis Al Muhairi, Director General of the National Council for Tourism and Antiquities and a number of officials from the Ministry and the authority. The two parties will facilitate bilateral cooperation in investment and business opportunities both in the UAE and abroad. They will also work together to establish a joint business that will promote and expand investments in Sharjah. According to the MoU, the Ministry of Economy and Shurooq will share economic information, business statistics and data to facilitate commercial contracts and establish joint business ventures with one another. The MoU stresses the importance of data analysis and research and also provides a framework for the two parties to exchange business delegations and exports. The two parties will also assist each other in organizing trade fairs and economic conferences locally and internationally. 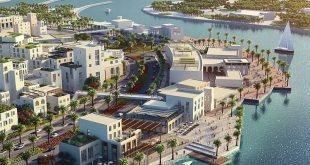 The agreement is a mean for the ministry and Shurooq to concentrate their efforts in an optimum manner that meets the goals of investors. Al Mansouri said the ministry will develop economic legislation to ensure economic growth, and will continue to develop laws to enhance the performance of business, increase the attractiveness of the UAE’s investment environment and strengthen the competitiveness of the national economy. 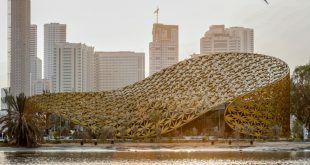 “The UAE seeks to be number one globally for ease of doing business as part of its approach to building a sustainable knowledge economy in line with the UAE Vision 2021 National Agenda. To achieve this goal we need to further develop the economic legal infrastructure,” said Al Mansouri. 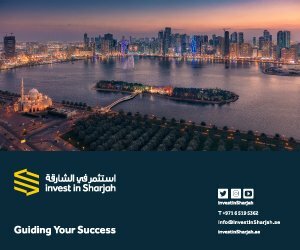 “The UAE has become a global investment destination thanks to its unique investment environment, lucrative economic opportunities in various fields, and its sophisticated infrastructure. 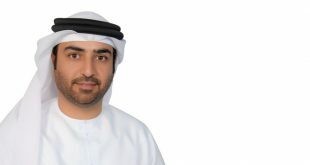 With its vital and strategic geographical location, the UAE is a gateway linking the world’s continents, aided by its political stability and modern economic legislation,” Al Mansouri added. After the signing ceremony, Najla Al Midfa, General Manager of Sharjah Entrepreneurship Centre, Sheraa, an initiative of Shurooq, spoke about Sheraa and said that it will support young entrepreneurs to turn their business ideas into reality and support enterprises in the emirate. Attendees then toured Mleiha Archaeological and Eco-Tourism project, and visited a number of archeological sites including Mleiha Archeological Centre, the Umm An-Nar Tomb, the Valley of the Caves, Mleiha Fort, the pre-Islamic Mleiha Palace and burial chambers, among others.